Purchasing this item will earn you 377 reward points (Treasure Coins $3.77) ! 6 payments from NZ$63.00 What's this? 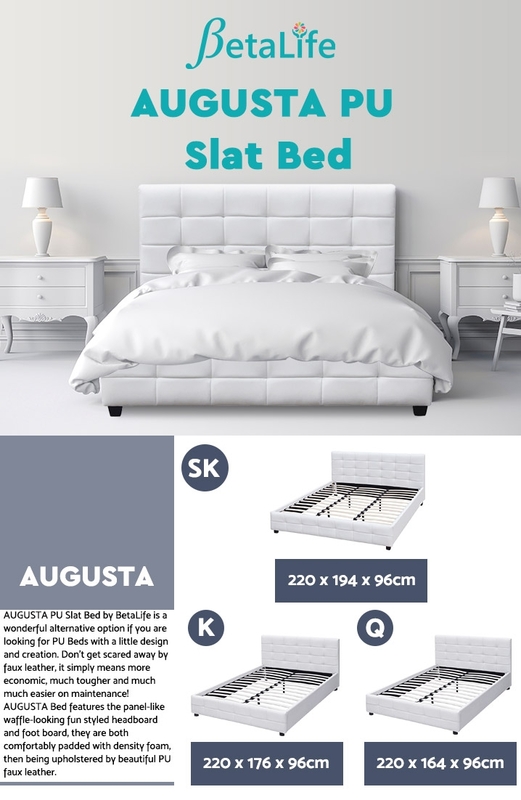 AUGUSTA PU Slat Bed by BetaLife is a wonderful alternative option if you are looking for PU Beds with a little design and creation. 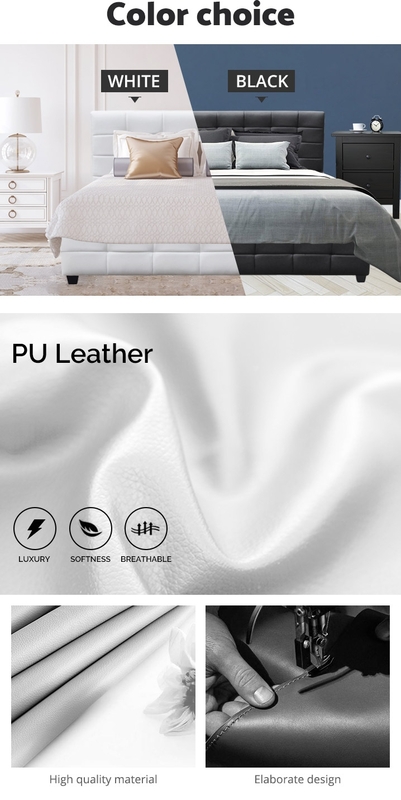 Don't get scared away by faux leather, it simply means more economic, much tougher and much much easier on maintenance! 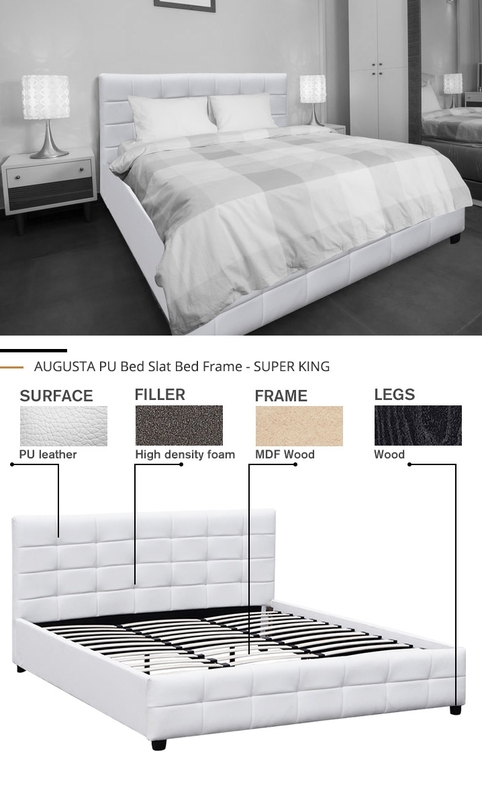 AUGUSTA Bed features the panel-like waffle-looking fun styled headboard and foot board, they are both comfortably padded with density foam, then being upholstered by beautiful PU faux leather. It is designed with four short wooden legs to make it the best option for those of you who just don't have enough energy to literally climb to bed every night. Flexible wooden slat base provides a great foundation for your mattress and best of all, it comes as a complete set that saves you the hassle from finding a matching headboard! Sleep like a baby and legal to be lay-zy are always BetaLife's goals - Hmmmm....there is no better place than home!